Crispy outside with a soft gooey inside. Sandwiched together with a complementary filling. Great for high teas , baby showers, anniversaries or boxed as a gift. Macaroons are also a great addition to your wedding sweets table, or as a wedding favour. Have a look our gallery for inspiration. Prices start at £ 2.00 for a simple design with sprinkles. Complexity of the final design will determine the final price. 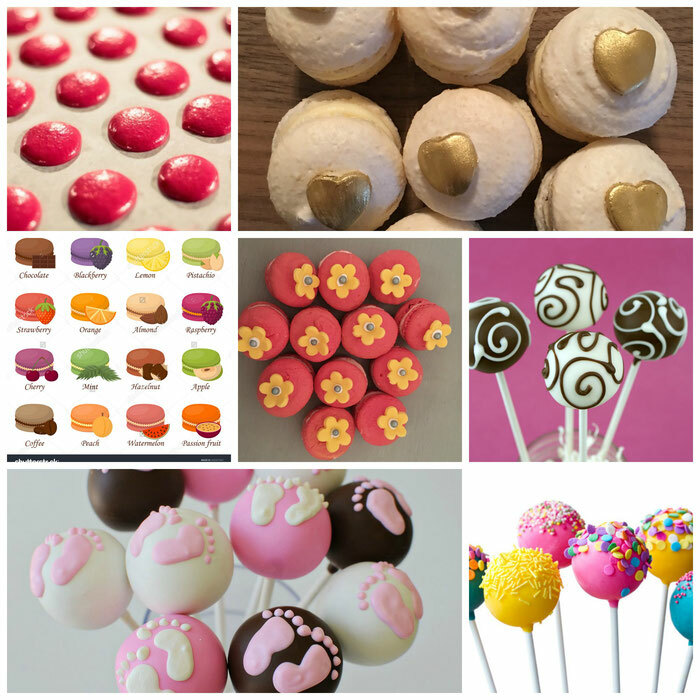 Cake pops can be customised to fit the style, theme and colour scheme of your event. Have a look at our gallery for inspiration.